Hope you all are making handsome amount of money with digital gold, cryptocurrency. Bitcoin is booming since last year and so are the altcoins. Those who called Bitcoin a ponzi scheme earlier are now buying Bitcoins, no one wants to miss the Bitcoin bullet train.To get Bitcoin and altcoins, we have two options. One is to mine them or buy with fiat cryptocurrency. Like stock market exchanges we have Crypto Exchanges where we can buy/sell/trade Bitcoin for altcoins/fiat.In this article I will let you know about the Best Cryptocurrency Exchanges to use right now. 1 What is a Cryptocurrency Exchange? 2 My Ranking For Best Cryptocurrency Exchange? Cryptocurrency exchange is a website which facilitates buying/selling/trading Bitcoin for Altcoins/ regular fiat currencies. Generally no ID verification is needed to start trading on cryptocurrency exchanges. Without verification some exchanges put limitation on your account like $2000 daily withdrawal limit. To remove such restrictions you need to verify your identity with Passport, etc. These exchanges provide fixed price for buy and sell. Fixed price fluctuate with coin price. In such exchanges buy price is higher and sell price is lower. e.g zebpay in India. Pros : Simplest to use. Guarantee that your order will go through. Cons : High fees. Huge difference in buy and sell rate. In this article we will be ranking such exchanges. In these exchanges price is set by the market and users buy and sell currencies with each other. Pros : Low fees. Buy currencies at actual price. Cons : No cons actually but initially you have to learn how to trade on such exchages.Not as simple as Broker exchanges. Don’t use such exchanges as they are more susceptible to fraud. In such exchanges users sets their own buy and sell prices. e.g localBitcoin, you are selling cryptos directly to friends or anyone on this platform. My Ranking For Best Cryptocurrency Exchange? You will know pros and cons of each below but if you are in a hurry here is my list for best crypto exchanges. 1. Binance : Lowest trading fees. 2. Bittrex : Popular crypto exchange. 3. Changelly : Simplest to use. 4. Coinbase : Buying cryptos for fiat. 5. Cryptopia : Good exchange to buy new coins, lower marketcap coins. 6. Etherdelta : Arbitrage Opportunities and decentralized exchange. All above mentioned exchanges are great and I use them regularly. Binance,Bittrex,Etherdealta are my personal favourites. There may be a case when you would need to join other crypto exchanges. So following are the points which you must consider before making your first trade. 1. Customer Support : Sometime we face issues like failed deposit/withdrawal then exchange customer support is required to solve our problem. Always check for customer support reputation for exchange before joining. Check my story here of using bad customer support exchange. 2. Trading Fees : Maximum exchanges have .025% taker fees and .01% maker fees. Anything above is not good and lower trading fees than these amount is great. e.g Binance with 50% discount on trading. 3. Deposit/withdrawal Fees : Generally there is no fees on deposit but each exchange have different withdrawal fees.Bitcoin withdrawals are costly in every exchange and maximum time I use Litecoin for withdrawal as for lower withdrawal fees. 4. Security : Always check for how secure the exchange is. Exchanges having 2 factor authentication like email verification, google auth is good. It is always a good idea to store your long term hold coins on offline wallet. We don’t want mtgox disaster again. Tip, Play safe with API keys, always disable withdrawal via API keys. 5. Reputation : Check for exchange reputation online, Bitcointalk, reddit and other review websites. 6. Liquidity : Exchange should have a high liquidity. There should not be a high gap in buy and sell bids. High liquidity means if you bought any crypto for $1 then immediately you can sell it for $1. This exchange is my personal favourite.Exchange conclued ICO few months back by selling the BNB tokens. It is one of the fastest growing exhange and I think they willl overtake other exchanges in near future. Binance is China based Centralised exchange, although not opened to Chinese users. This exchange serves almost every country and new altcoin got listed frequently after reviewing them. 2 factor authentication via email verification and google authenticator is in place to secure your funds. If you don’t know English then no worries this exchange has multi-lingual support.Want to trade on the go, yes this exchange does have an android and IOS app. Trading Fees : The best thing about this exchange is very low trading fees. Lowest I have ever seen in any exchange.Standard trading fees is 0.01% but if you use BNB (Binance Coin ) for paying trading fees then you will get extra 50% discount on first year of trading.Check image below for fee structure. In other crypto exchanges trading fees is around 0.02%. Fast Deposit : Binance has faster deposit as compared to other exchanges. Once you’ve made the deposit very less confirmation is needed to start trading it. withdrawals are normal and generally processed within 5 minutes. Earlier poloneix was my favourite trading platform but with very slow deposit/withdrawal and no new coin listing I’ve stopped using it and would recommend you to stay away. Customer Care : I’ve been trading on binance since 4 months and till now I have raised support ticket once, for ETH withdrawal issue. Although issue was due to ETH network overload but best part about Binance customer support that they respond to ticket within 8 hours and in next 24 hours my withdrawal was successfully done. Till now no bitter experience with Binance, you can share you views on Binance via comment below. Mobile App : Exchange has a mobile app for both Android and IOS. Now trade cryptos anytime anywhere. Multi-Language Support : Currently Binance support 8 different languages. English, Français,русский, Español, Deutsch, 简体中文, 简体中文, 日本語. Exchange Views : Binance have two different trading views one for basic user and other for advanced users. Reward and Bounty Program : Every now and then there are competitions running at Binance, participate to earn rewards. Just create account at Binance and get free giveaway rewards from Binance. Literally no cons. One problem which I had with Binance earlier was that they didn’t have stop-limit feature which is present in other exchanges like bittrex. On 11 Dec 2017 Binance added stop-limit feature so now we will not be loosing our money while sleeping. For cons I have to google it as I don’t have any problem with them but I can’t find any cons there also.Though there are few improvements which can be done to make Binance better. Customer support via online chat or phone. Wallet option on coin trade page as we have in bittrex. Margin and spot trading features. Currently only Chinese number are supported for two factor authentication. 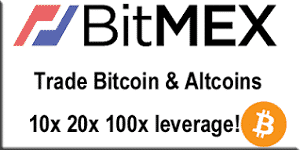 Bittrex is a US-based cryptocurrency exchange which serves worldwide. Exchange has high liquidity and good amount of Bitcoin trading volume.To secure users funds 80% funds are stored offline and exchange has a large number of altcoin listed. Currently Bittrex have 3 Types of Account. Unverified Account – Daily withdrawal limit of 1 BTC and KYC verification needed. Basic Account – Daily withdrawal limit of 3 BTC and KYC verification is required. Advanced Account – Daily withdrawal limit of 100 BTC and KYC is required. For me Bittrex KYC was done within 1 day unlike poloneix which took 30 days. withdrawal and deposits are normal but not as fast as Binance. Trading Charts : Unlike Binance, Bittrex provides very advanced trading chart with so many features. Altcoins : Bittex is in crypto space since 4 years and currently Bittrex has a large number of altcoins listed. Security : Operating since 4 years but not a single security breach incident, that’s great. Email verification is required for every time withdrawal is requested or when you try to login with new IP address. If you are enabling API keys than disable withdrawal via API keys. Lag : Recently at Bittex I am facing very frequent lags where my buy/selling orders are not fulfilled at the real time.I know this is all due to more people joining in cryptocurrency. Bittex should upgrade their server to make our trading experience as smooth as butter. Customer Support : Me never faced any problem at Bittrex till now so no experience with customer support. But read online on other review sites that bittrex customer support took up to 7 days to respond. Fees : Bittrex take average trading fees where for makers it is 0.01% and for taker it is 0.025%.Withdrwal fees for some coins are very high. e.g. Bittrex BTC with drawl fees is 0.001 BTC whereas for Binance withdrawal it is 0.0005 BTC. I always prefer LTC for withdrawal . It is a broker type cryptocurrency exchange. Best part of this exchange is that it is the simplest to use. No KYC needed or long sign-up process, just signup via email and start exchanging cryptos. Changelly was the first exchange I have used to get altcoins. User interface is very simple all you need to is send any coin to Changelly deposit address with exchange coin receiving address. Trade is done within minutes after Changelly receive your coins then within 30 minutes you get your desired exchanged coins in your wallet. Changelly charge 0.5% trading fees with some network fees. All major altcoins are available for exchange on platform. Simplicity : If you are new to crypto world and never used cryptocurrency exchanges like Binance,Bittrex in past then I recommend you to start your trading journey with changelly. Site is beautifully designed and trading experience can’t be more simpler. Wallet-Wallet Exchange : Changelly platform is highly secure and used by many.We know keeping money on exchanges is risky. Don’t forget the mtgox 2013 hack where 850,000 Bitcoins were stolen from exchange.Unlike other crypto exchanges in Changelly you receive exchange coins directly to your wallet to which you hold the private key. High Fees : In trading platform exchanges trading fees is around 0.2% but in changelly you have to pay 0.5% trading fees + network fees which goes to blockchain (miners). No Real Time Trading : usually trade is done between 5 to 30 minutes. Unlike trading platform exchanges where successful trade happens in microsecond, in changelly trading is not instant. Crypto is volatile market 10% +/- within 30 minutes is quite possible. So you will receive less or more exchanged coins depending upon market price at the time of trade. Limited Coins : Very few altcoins are listed at changelly exchange. So if your favourite altcoin is not there then you have to consider other crypto exchange. Coinbase is one of the best brokers and trading platform in the world. 8 Million register users on the platform are enough to prove such claims.Coinbase serve 32 countries worldwide and best part of Coinbase is that we can buy cryptos with fiat currencies. Following are the countries to which coinbase provide its services. We can trade bought cryptocurrency on GDAX(Coinbase subsidiary).Coinbase does not charge any fees to move funds between Coinbase account and GDAX account.GDAX currently operates in the US, Europe, UK, Canada, Australia, and Singapore. With cryptocurrency buy and sell, Coinbase also provide wallet and merchant services. For payments coinbase accept wire transfer, credit/debit cards.Successful transfer via wire take up to 5 days.Without verification coinbase implements weekly limit on buy/sell. Beginner Friendly : Coinbase is very easy to use and user interface is easy to catch up. Recommended for crypto newcomers. Fait Currency Support : At coinbase you can buy cryptocurrencies with credit/debit card and bank transfer. Fees : On comparing with other exchanges which have fait currency buy support, Coinbase charge very less fees. Insured Bitcoin : Insured Bitcoin deposits are available. In case of hack or security breach you won’t be loosing all your money. Security : Coinbase is highly regulated and trustable exchange. Safely store the customer funds. Monitoring/Tracking : Coinbase monitors how you spend your cryptocurrencie. So if you are using Coinbase then stay away from transaction related to adult services,gambling,dark market,etc. If Coinbase found out that you are doing so then they may shutdown your account. Limited Countries : Coinbase services are not available globally. Limited countries are supported that are already named above. In India we don’t have Coinbase, only option left is to buy Bitcoin from zebpay at 20% premium. Cryptopia is major exchange for dirt cheap altcoins. At cryptopia you will find altcoins which are not present at Binance,Bittrex. By cheap altcoins I don’t mean Cryptopia list scam or fake coins. Cryptopia is centralised exchange based in New Zealand. Getting started with Cryptopia is quite easy just signup using email and deposrit fund to start trading but non varified account have daily withdrawal limit. Note : Don’t participate in Telegram Pump/Dump, only the Admin and their premium member earn money doing this. Those guys choose altcoin which has a very low volume so very easy to manipulate. Better to stay away from such campaigns. If you live in New Zealand then you can Buy Bitcoin for fiat currency via wire transfer.Along with cryptocurrecy exchange Cryptopia prtopia provide other features like marketplace, block explorer, arbitrage,etc. Altcoin Market : More than 400 altcoins are listed on this exchange.Good for you if you are looking to find next altcon gem. Fiat Support : You can buy Bitcoin with fiat currency on Cryptopia but option available for New Zealand citizens only. Exchange does not support BTC-Fiat trading pair. Charts : Trading charts are very poor. Deposit : Some coins take very long time for deposit, many confirmations are needed. Some coins may take up to 30 minutes and more. Customer Support : i’ve never had problems with cryptopia but read on many forum that Cryptopia customer support is very slow and poor. High withdrawal Fee : For some coins withdrawal fees is very high so if you are small trader then you won’t be benefited via arbitrage trading between exchanges. Etherdelta is decentralised exchange and I use it very frequently. As the name suggest it uses Etherum Blockchain. Almost every ETH based tokens, ERC-20 is listed on the exchange for trading. This exchange is not for beginners and not user-friendly as that of Bittex and Binance. Liquidity is low in this exchange and trade does not happen real-time. I use this exchange regularly for Arbitrage trading. As I have mentioned earlier liquidity is low is this exchange. So I place buy order below than current price in other exchange and place sell order above than current price in other exchanges. Once any of buy/sell order get executed I sell the coins in other exchanges for higher price or buy back with lower price. I am repeating again, this exchange is not for beginners. I might bring a tutorial for this exchange in future. If you never used Bittex,Binance or other related crypto exchanges then Etherdelta is not for you. Even Bittrex,Binance experience holders will find it difficult to trade on Etherdelta. Before doing your first trade on Etherdelta must check YouTube tutorials. Decentralised : Unlike Binance and Bittrex, Etherdelta is decentralised exchange. Exchange does not run on centralise exchange rather uses smart contracts to which you hold the private keys. Tokens : So many tokens are listed on this exchange for trading. It’s very easy to list new ETH base currency on this exchange.It is very frequent that the first exchange any new ERC-20 based token get listed is Etherdelta. Profit opportunity. Deposit/withdrawal : On comparing with other exchanges, Etherdelta have very fast deposit and withdrawal time. Once the transaction is confirmed on blockchain, funds are available instantly for trade whereas other cryptocurrency exchanges requires extra 4-30 confirmations. Typo Mistakes : One major blunder that you can not do on Etherdelta is typo mistake. Once it cost me $10, lucky my trade amount was very low.Unlike other cryptocurrency exchanges where no matter what, how low or how high you placed the buy/sell bid, trade always get executed at highest exchange buy bid rate or lowest exchange sell rate but in Etherdelta this does not happen. If you missed or added extra zero then you are screwed as trade will not happen, rather bid will be placed and other Etherdelta user will immediately execute your bid trade. While trading on Etherdelta always pay attention and before submitting trade always coint the number for zeros. Real Time Trading : The main problem with all decentralised exchange is that trading is not instant.Patience is required, trading on Etherdelta is like transferring token between two smart contracts.Generally successful trade take up to 5 minutes. ETH Dependent : For trading Etherdelta completely depends upon Etherum Network. If there is transaction backlog on ETH network due to ICO event, cryptokittes recently then trading on Etherdelta will become slower. User Interface : Exchange has a very bad UI, No search feature, token selection through one button via scrolling which also lags some time.Trade book does not update instantly and trading charts are very poor. This was my list of Best Cryptocurrency Exchanges to use right now. If yor like this blog post give it a social media share. Share your view via comments below. Can I use your Binance Refferal Program link if I already have an account on Binance? When i try to enter the site it shows site down.Its after there migration to new server i think.Can u access the site now? hi, i read your guides on mining dirt altcoins like lux stak bitcore etc. and you mentioned to sell immediately after mining. So i wonder do you sell for fiat or for another coin to make the best profit and avoiding high fee. I tried out a little amount on Cryptopia for testing and the fee is very costly. Is there a guide or trick for this? Thanks for inspiring.